Finding a great deal on a Fleece Cinch with Leather Reinforcements can be difficult. But do not worry as we have a vast selection of Horse Cinches that are not just made of superb quality but also affordable. 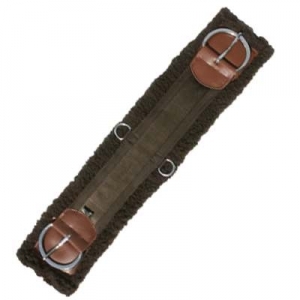 This Horse Cinch features a nylon web with a fleece overlay for the horses comfort. It also has stainless steel buckles for a good fit. As horse enthusiasts ourselves our number one priority is to offer our customers Horse Cinches which we believe are made to last and available at affordable prices.